The search page we are going to create/ developing based upon view only, as we are not going to perform any database transaction. Therefore we don' t need to create an entity object. 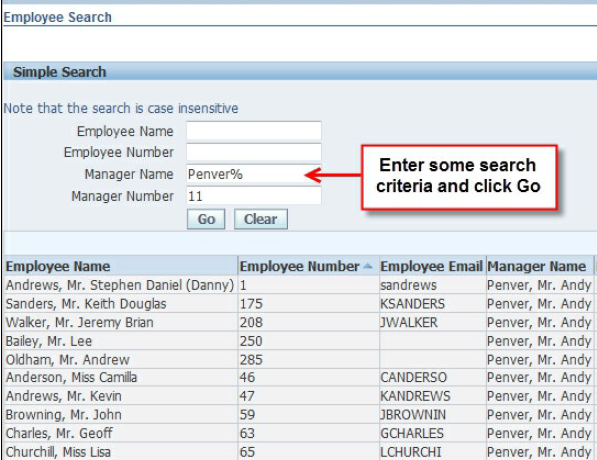 In order to create search page first we need to perform following tasks. 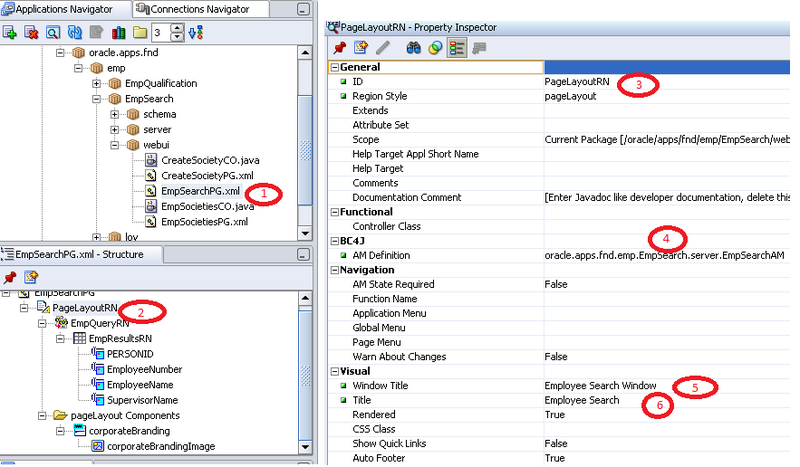 Right-click OAMujahidPacktProject project in the navigator and select New from the pop-up menu. 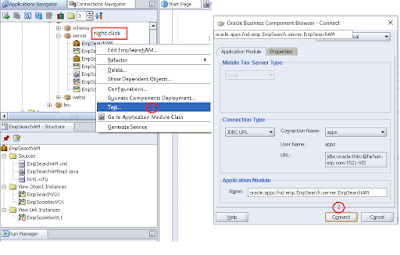 ADF Components and select Application Module. Click on Button OK. 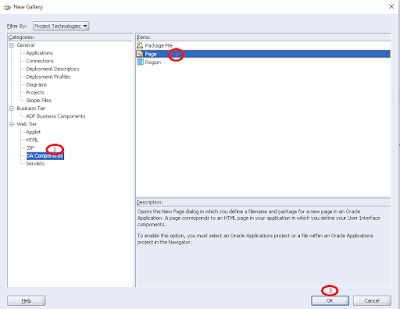 Welcome page will display, click Next Button. In Step 2 of 4, click Next Button. In Step 3 of 4, click Next Button. 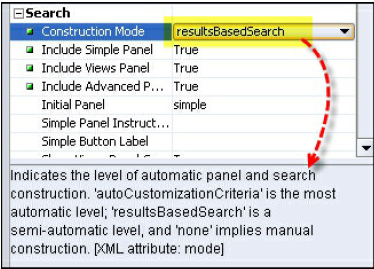 In the Finish window, select the Finish Button. Click Save All Button from the toolbar. 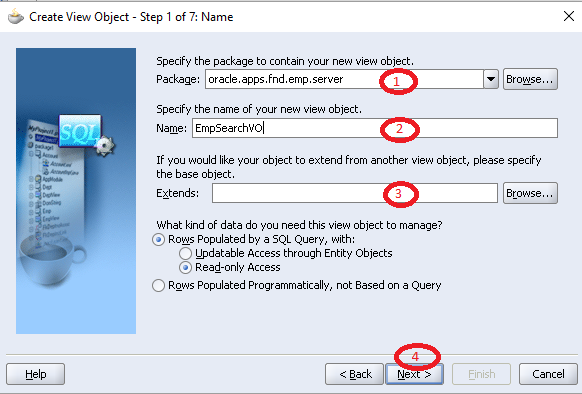 Right-click the OAMujahidPacktProject.jpr and select New from the pop-up menu. 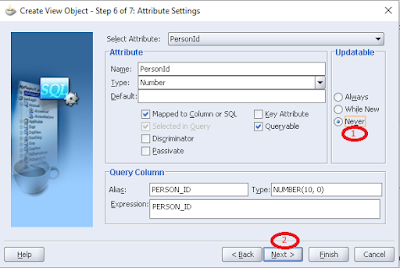 Navigate to Business Tier --> Adf Business Components And Select View Object. 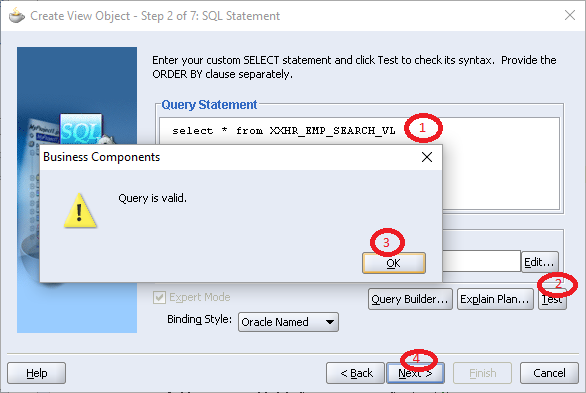 Click on OK when the Query is valid message is displayed. 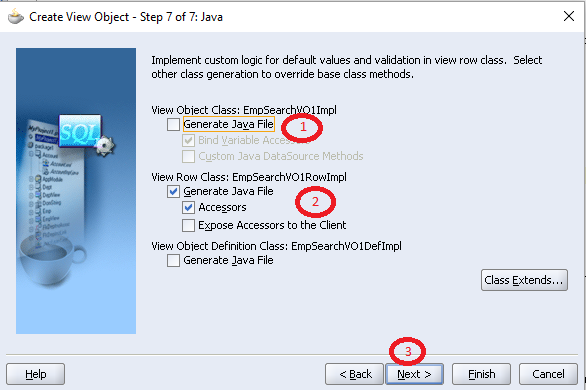 In Step 3 of 7, click on Next. In Step 4 of 7, click on Next. 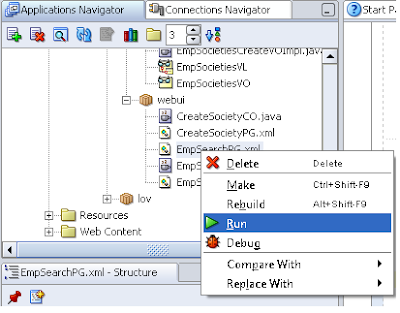 In Step 5 of 7, click on Next. In Step 7 of 7, uncheck the Generate Java File checkbox in View Object Class: EmpSearchVOImpl. After completing Step 7 of 7, click on Next. In the summary page, click on Finish. Click the Save All button from the toolbar. Expand the oracle.apps.xxhr.emp.server package, and click on the EmpSearchVO view object. 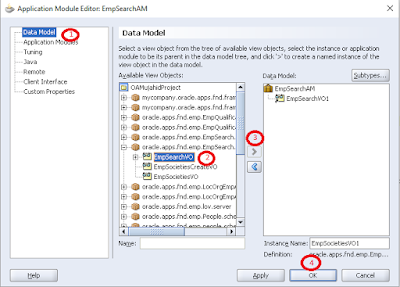 In JDeveloper, right-click the EmpSearchAM application module. Select Test from the pop-up menu. 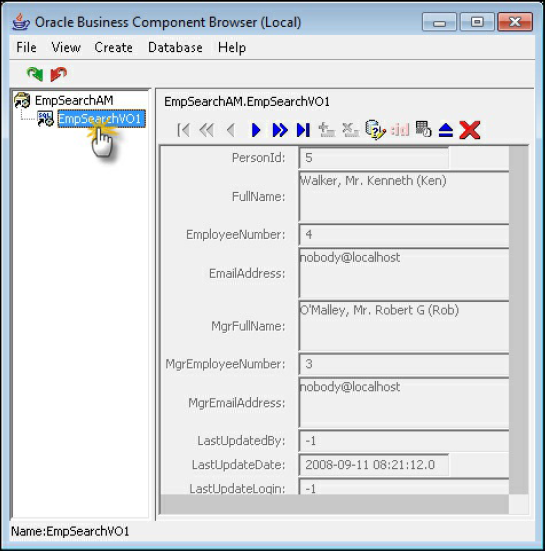 After a short while, the Oracle Business Component Browser (Local) window will appear. We have created our application module and successfully tested it, now we are going to create our user interface. 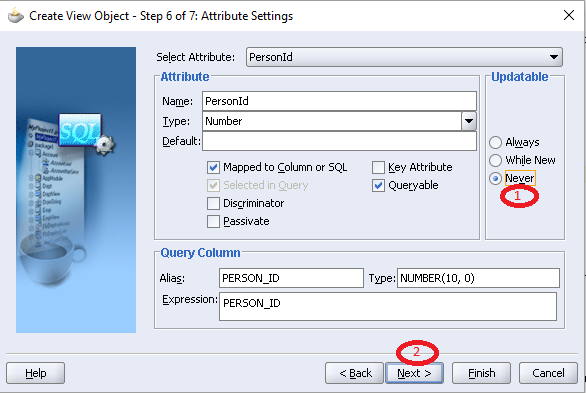 We will create a page that allows us to query data based upon the attributes in our application module. 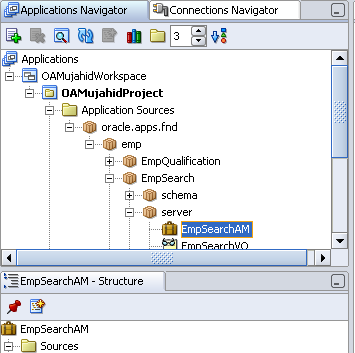 In the Application Navigator tab, right-click on OAMujahidPacktProject. Select New from the pop-up menu. 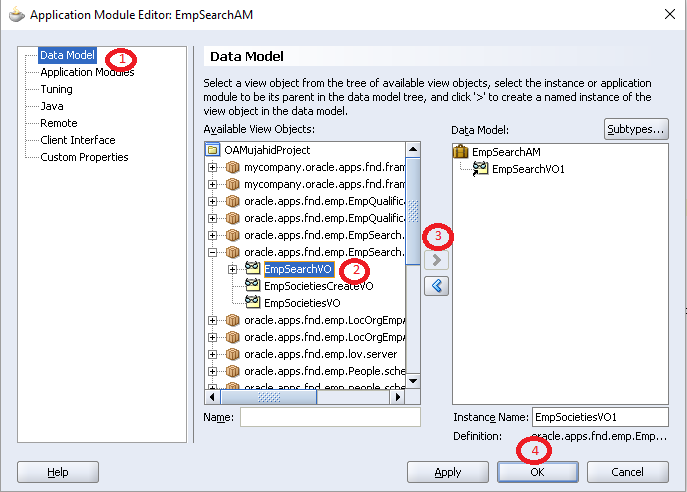 In the Structure pane, click on the item EmpSearchPG | region1 node. select Run from the pop-up menu. The following page will appear with an empty Employee Search region, as we have not added any items to the page just yet. 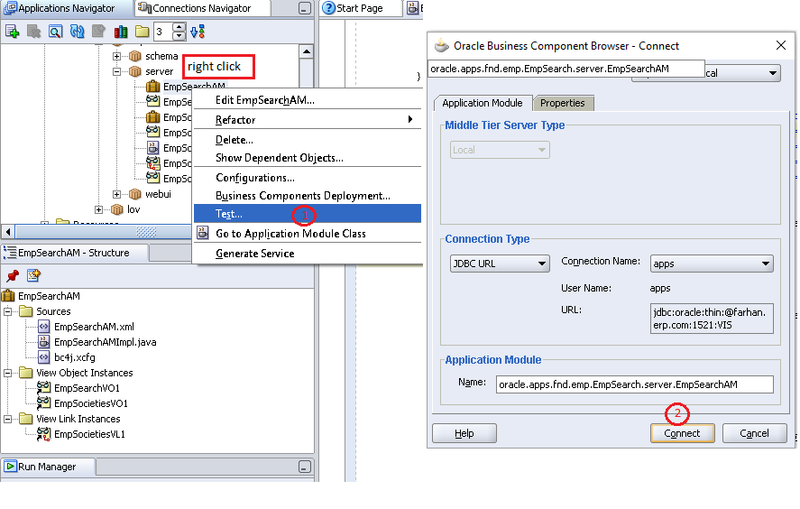 You can see that the page automatically inherits the Oracle EBS branding, look, and feel of other OA Framework pages. 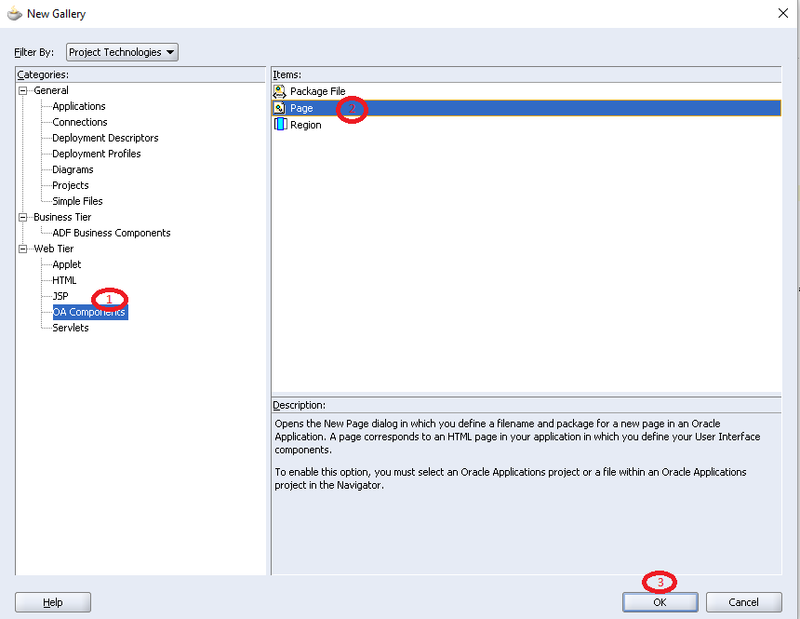 Using Wizard from the pop-up menu. 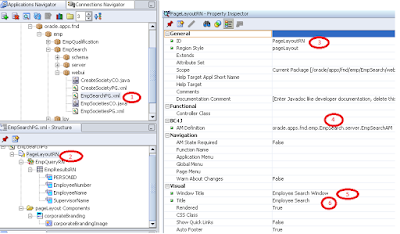 application module from the drop-down list. 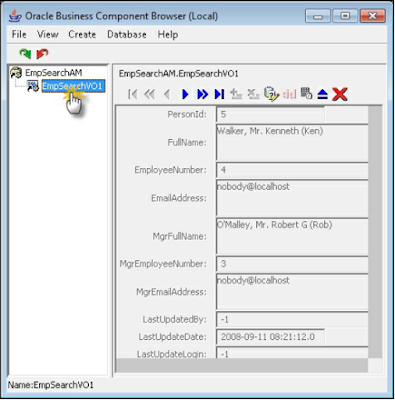 Click on EmpSearchVO1 from the Available View Usages pane, and click on Next. 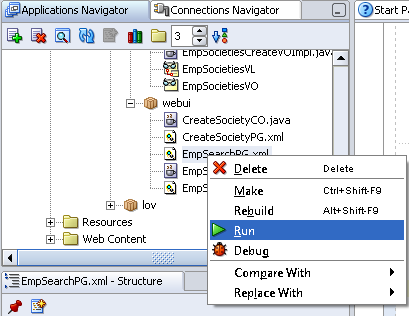 Right-click on the EmpSearchPG.xml page and select Run from the pop-up menu.